What is a “No-Fault” Divorce? When neither party attempts to prove the other is to blame for the divorce, it is called a no-fault divorce. While divorce law varies state to state, each state acknowledges no-fault divorce. You need only offer one of the acceptable legal reasons for divorce in your state to qualify. 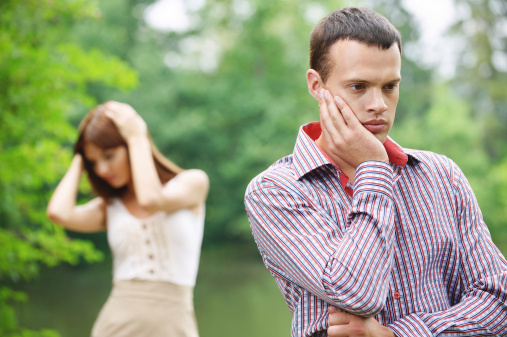 You should consult a divorce lawyer in your state to learn those reasons and if no-fault divorce can work for you. Some states require that the couple live separately for a period of time. In North Carolina, I married couple must be separated for a period of one year before they can file for divorce. The recognized reasons for a no-fault divorce include the following. These rules and laws change state to state; therefore, it is important to speak with a qualified divorce lawyer in your jurisdiction. Incompatibility- In most states, incompatibility is the accepted reason for a no-fault divorce. It can be as simple as a personality conflict amongst the married people. Irreconcilable Differences- This may seem a bit more extreme than incompatibility. Irreconcilable differences is based on differences that make married life essentially impossible, if not unbearable. It is important to realize that the court rarely requires that the irreconcilable differences be states or written. So long as the party requesting states that it should be accepted. Irremediable Breakdown of the Marriage- This in when one of the married spouses refuses to live together or put any effort towards reconciliation marriage. Like you reconcilable differences, the courts rarely require the parties to prove the irredeemable breakdown of the marriage. It is sufficient that the party requesting divorcees this is one of the predefined excepted reasons for no-fault divorce. If you have decided you want to be divorced and think one of these situations applies, contact an experienced Durham divorce lawyer today at 919-683-9500 to discuss your no fault divorce. Appointments outside regular office hours are available upon request. The Law Firm of John C. Fitzpatrick handles traffic violations, criminal defense, and personal injury matters in the North Carolina counties of Durham, Harnett, Wake, Orange, Person, Granville, Chatham, Alamance, Guilford, Vance, Franklin, Johnston, and Lee - including the cities of Durham, Chapel Hill, Pittsboro, and Lillington. We handle family law matters in Durham. Family matters require a $150 consultation fee.